Schooled at the Ecole des Beaux-Arts and honored by the French Salon, Jean-Léon Gérôme was a prolific and popular artist. Like Delacroix, he traveled extensively in North Africa and the Middle East. 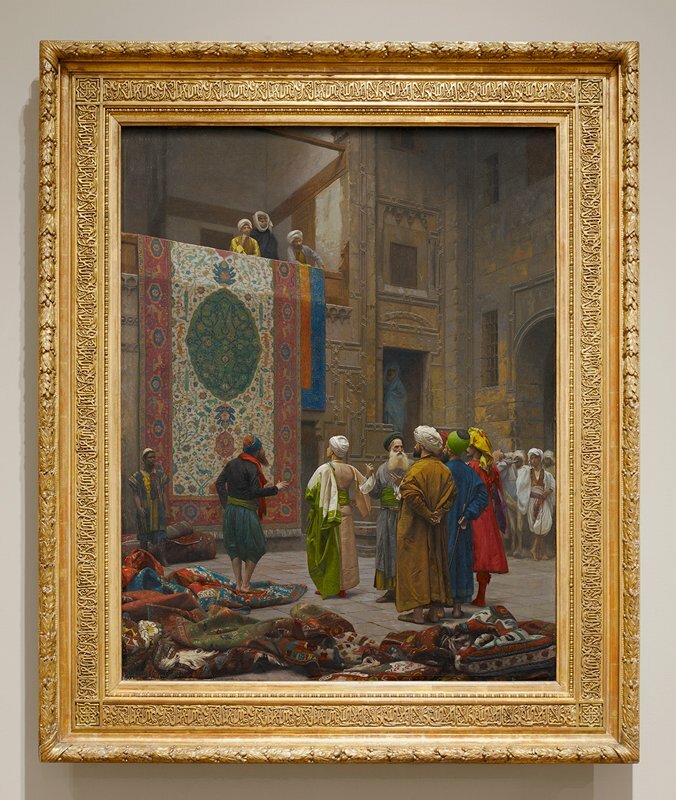 The Carpet Merchant depicts the Court of the Rug Market in Cairo, which Gérôme had visited in 1885. Rolling up the red carpet?